Do you believe in dreams? Do you believe that nothing is impossible in this world if you go behind it with all your heart? What if I told you, that no dream is big enough to fail if you dare to dream in the first place? 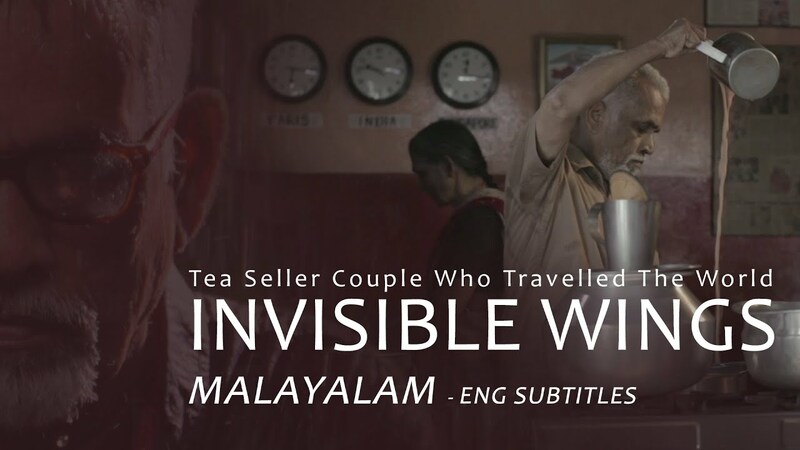 Here is the travelling story of a Tea seller couple of Kerala. Meet Vijayan, a 65 year old wayside tea seller. 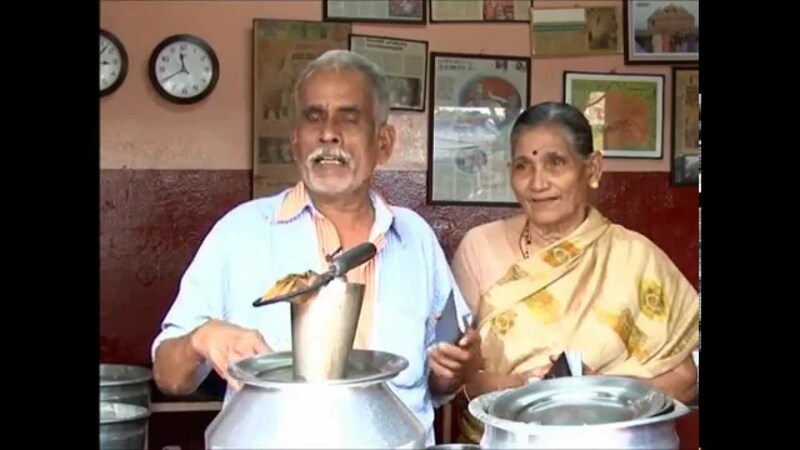 He and his wife Mohana a tiny tea shop named “Sree Balaji Coffee House” in Kochi. The shop is nothing fancy. It’s a small space selling hot beverages and snacks. You can see Vijayan wearing his plain shirt and mundu making mouth watering snacks and tea all day long. The rates are also not fancy. Some 7 odd rupees for one tea and the same amount for snacks of your choice. So what makes them special? Well did I mention that this couple has already travelled 16 countries as of now. Yes 16 countries. And no, not just neighboring countries like Nepal and Bhutan. These destinations are cheaper to travel. Their escapades include countries like Switzerland, France, Britain, Austria, Egypt, Dubai and the list goes on. 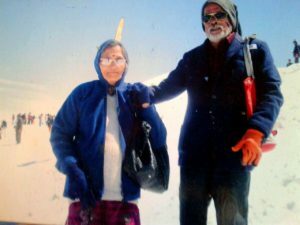 It’s the result of hard work, proper planning and the determination to keep moving ahead to achieve their dreams.Vijayan got the travelling obsession from his father who used to take him to different places since he was a child. They went to Madurai, Palani, Tirupati and numerous temples in and around Kerala. These travel memories is what pushed him towards going out for more. He dared to dream and he also fulfilled them. “There will be many hurdles, but we can overcome that through hard work. If you really wish to chase your dreams, nothing can stop you from it,” he says. You may also like: Nikki Misurelli, the Global Biker! Vijayan finances his trips by following a simple method. Out of his days earning, Vijayan keeps 300 rupees aside and saves it as part of his ticket fund. The two of them also spend very economically while they are abroad. They restrict their spending budget to 500 odd rupees and only buy symbolic souvenirs to keep the memory of the place visited alive. They do not live a lavish lifestyle abroad. The whole trip is financed by bank loans which the couple takes before travelling abroad. They zero in on the destination and then Vijayan calculates the expenses required for the same beforehand. Despite all the financial hardships they face, the couple would apply for a loan, travel the dream destination, come back, work hard and spend the next 3 years repaying the loan they took. This algorithm works just fine and has helped them immensely in their travel. 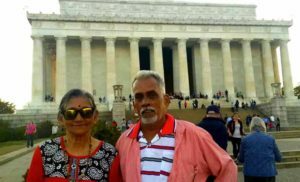 Considering their age, the couple has faced difficulties in getting money from banks to finance a loan to their next dream destination. But Vijayan has not let that deter his dreams. Some dreams are worth going all out for, and Vijayan’s story sounds like one of those few. The next on the couples travel list is the USA. We wish them all the best for achieving that next milestone.